Deadpool spends quality time with sharks! 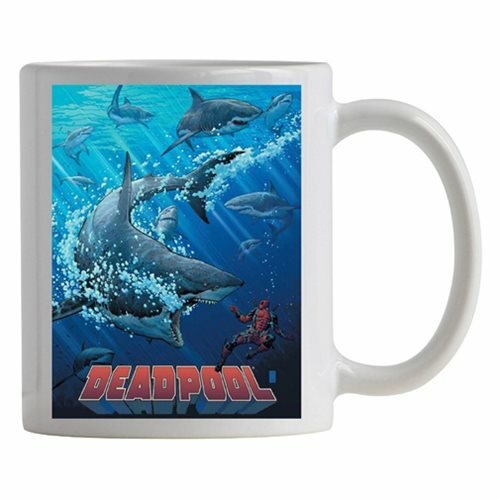 This Deadpool Shark Tank Previews Exclusive Mug features the Merc with a Mouth swimming with some big fishies! Hand wash only. Not dishwasher safe. Do not microwave.